SG Bonus will be distributed to all Singaporeans aged 21 and above. Here’s how much you’ll be getting, and what you need to do to make sure you receive your money. Most people would not say no to additional income. When our company does well and we get an unexpected bonus, that’s to be welcomed. And when Singapore does well, we all benefit. During Budget 2018, Minister of Finance Mr Heng Swee Keat announced that the Government will be sharing a portion of the surplus from Financial Year 2017 with all adult Singaporeans in the form of the SG Bonus. The SG Bonus will be distributed to all Singaporeans aged 21 and above by 31 December 2018. It is estimated that about 2.8 million Singaporeans will benefit from the SG Bonus. Read on to find out how much you can expect to receive from SG Bonus, when you’ll receive it, and other important things that you ought to know about SG Bonus. How Much Will I Be Getting And When? Eligible Singaporeans can expect to get $100, $200, or $300 by end 2018. You will soon receive a notification letter and/or SMS informing you of your SG Bonus amount. The amount that you will receive depends on your Assessable Income (AI) for the Year of Assessment 2017, or YA2017. This refers to the year that an individual’s income tax is calculated and charged. Therefore, your AI for YA2017 will be based on what you had earned between 1 January 2016 and 31 December 2016. This tiered system of SG Bonus benefits ensures that those earning less will receive more. Most Singaporeans will automatically receive their SG Bonus, as long as they had signed up previously for any government payout scheme, such as the Growth Dividends or GST Vouchers. So no further action will be required on your part. When you receive your SG Bonus depends on the payment mode that you choose. If you register your NRIC on PayNow, you will receive your SG Bonus earlier. Payment Mode Expected Date you will receive SG Bonus by How? PayNow (linked to NRIC) 30 November 2018 Register your NRIC to your bank account via your bank’s Internet or mobile banking app by 7 November. Direct Bank Crediting 10 December 2018 Check your bank account details on the hardcopy letter which will be sent to you. If necessary, update your bank account details via the SG Bonus website by 7 November. Cheque 20 December 2018 Check your payment mode on the hardcopy letter, which will be sent to you. You are encouraged to (i) register your NRIC on PayNow or (ii) update your bank account details at the SG Bonus website by 7 November. You can view your SG Bonus quantum online at the SG Bonus website using your SingPass. 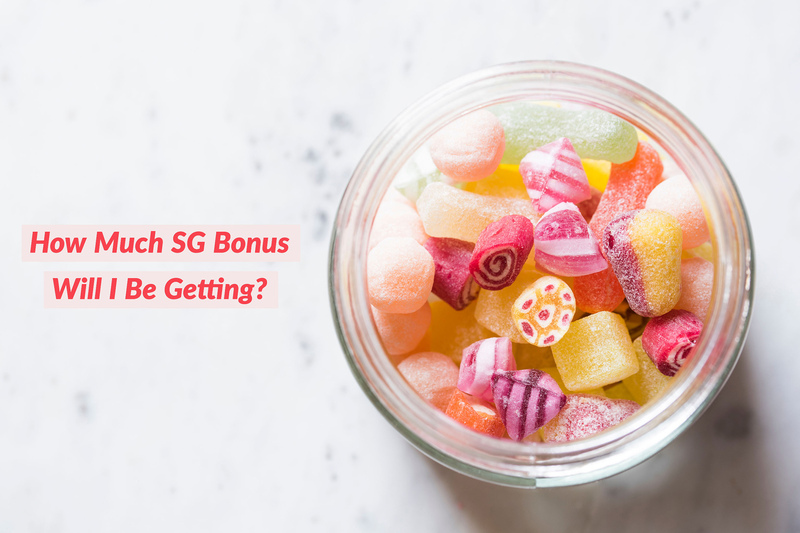 Besides how much and when you will be receiving your SG Bonus, here are three other things you should note. It’s important first to note that the SG Bonus is separate from the GST Voucher (GSTV). GSTV is a scheme that helps lower-income Singaporeans. It has three components – Cash, MediSave, and U-Save. It is also a permanent scheme, which means eligible Singaporeans will receive their GSTV every year. On the other hand, SG Bonus is one-off benefit, thanks to a budget surplus in FY2017. While most of the surplus is being saved for the future, part of it is being distributed and shared with Singaporeans through the SG Bonus. So, enjoy your SG Bonus this year – treat yourself, bring your family to dinner, or donate it towards a worthier cause. Read Also: How Much In GST Vouchers Will I Be Getting In 2018? For those who don’t already know, PayNow is a peer-to-peer funds transfer service available to retail customers of nine participating banks in Singapore: Bank Of China (BOC), Citibank, DBS Bank/POSB, HSBC, ICBC, Maybank, OCBC Bank, StanChart, and UOB. The benefits of using PayNow is that customers no longer need to exchange bank account numbers in order to send or receive money. Instead, they can do so instantly as long as they have the mobile number, NRIC/FIN, or Company Unique Entity Number (UEN) of the recipient. In June this year, it was announced that Singaporeans who register their NRICs on PayNow can receive their SG Bonus earlier than direct bank crediting or cheque. Choose your preferred bank account to receive money. Log in to your bank’s Internet or mobile banking app. Register for PayNow and link your NRIC to your bank account. For the majority of us, having a few additional hundred dollars is a welcome treat. However, there are some among us who may have a greater need for the extra money. To encourage a spirit of giving, Singaporeans may donate their SG Bonus to those who may need it more. If this is something you are considering, you can do so via the SG Bonus website or the SG Cares mobile app, which provides a description of what each charity does, their mission, and who their beneficiaries are. If you wish to donate all or part of your SG Bonus, you’ll be doing those in need a great service. The SG Bonus is only possible because the Singapore economy performed well over the past financial year. The country enjoyed a budget surplus and SG Bonus allows the Government to distribute the money to fellow Singaporeans. While most of us may start thinking about how much SG Bonus we will get, it is also important to think about how we intend to make full use of this extra money. To some, this may seem like “free money falling out the sky”, but it’s good to be aware that this money ultimately came from somewhere – from strong economic performance and the Government’s commitment to share the fruits of Singapore’s development with Singaporeans. Whether you choose to save it, invest it, spend it or donate it, the choice is yours. But whatever you choose, do use it wisely.